“Just as in Ohio and Michigan in recent months, Energy Transfer Partners and its affiliates now in Pennsylvania continue to show a reckless disregard for the environment and communities as it rabidly builds its pipelines across the country. 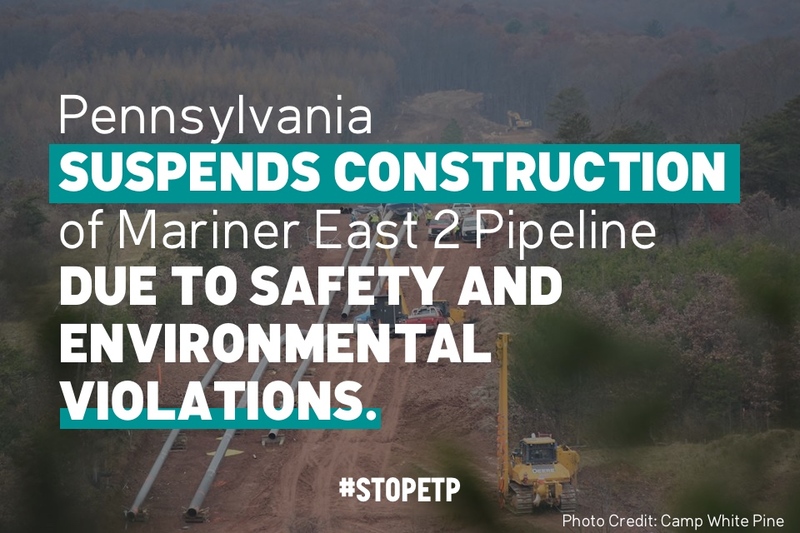 Communities like those at Camp White Pine along the Mariner East 2 route in Pennsylvania are rising up against Energy Transfer Partners, and rightly so. “This halt was not a gift from the governor’s office. It was won by a group of residents who demanded it. As always, the responsibility of putting a stop to ETP’s dangerous practices will continue to fall on people living under a government who refuses to protect us.